In the week of August 1st Google rolled out a “broad core algorithm update.” We know it was that because they said so on Twitter. There was quite a bit of buzz around this update. Some sites “won”, others “lost”, which is logical because, in the end, this is pretty much a zero-sum game. We’ve been trying to make sense of what happened; this post explains what we know. It’s called the Medic update because Barry Schwartz, one of the most prolific writes in the search industry, called it that. It doesn’t mean this update only affected medical sites. We can be honest about this: no, we do not see an overall trend. In discussing this, we have a hunch of what Google tried to do with this update: it seems to try and show results that better match the intent of the search. This would fit with another bit of news that came out of Google recently: updated search quality rater guidelines. The idea of the “purpose” of a page ties in with the intent a searcher has for a query. Let me explain: If I’m searching for a “LEGO minifgures display case”, I either want to learn how to make one, or where to buy one. Pages in my results should either explain to me how to build one or try to sell me one. If I search for “buy LEGO minifigures display case”, Google can leave out all the pages explaining how to build one. 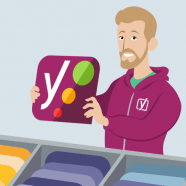 The post Google’s Medic update, and how to deal with it appeared first on Yoast.